My favorite color of this year is with no doubt tangerine. To me it’s the new black. I cannot put into words how much I love this color. It really make me happy, it lifts my mood and it spices up every of my outfits. Equally, I am in love with the MAC lipstick in Morange, and herefore I declared it as my favorite lipstick of this summer. 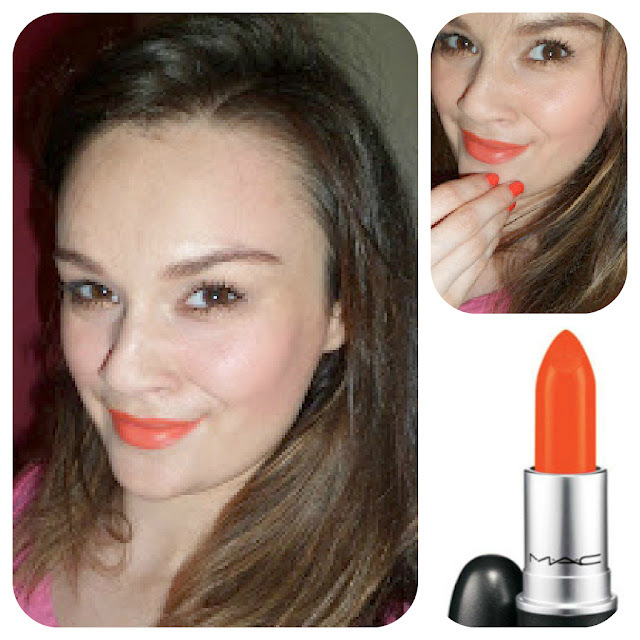 MAC Morange is a bright orange- red lipstick, but more orange than red and I always find that this lipstick brightens up my face instantly, no matter how tired and sleep deprived I am, people would always comment how fresh and rested I look like. 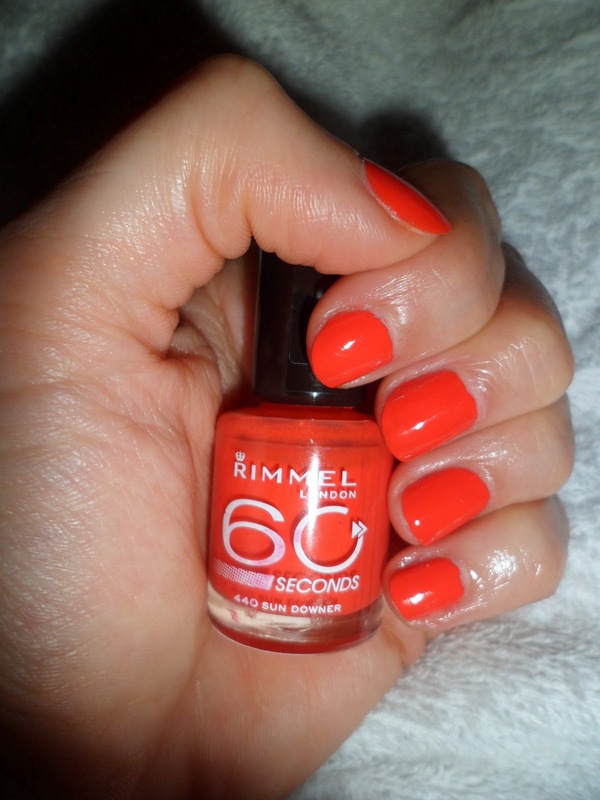 My favorite nail polish of this summer is the Rimmel 60 seconds nail polish in 440 Sun Downer. Every time I apply it to my nails, I can’t stop looking at them all day long, it’s that addictive. What is your favorite lipstick and nail polish at the moment? Hi Marina! this color is so summery and too cute! Love it! Great choise! Kisses and have a good day! this is a really nice color! great pick, marina! that is a really pretty nail color. Very summery. I really love Rimmel's affordable products! Great coral colour! Thanks so much for visiting my blog! Enjoy your week.